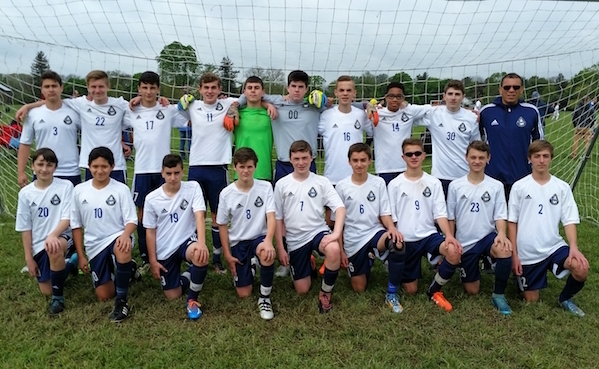 The U14B NJ Stallions 01-02 Juve EDP team becamse the USCS NJ State Cup Super Group FINALISTS after a successful run in the tournament. The road to the Final came against three very tough opponents in a2Quarterfinal Win 1-0 over TSF Academy 01/02, followed by an exciting Semifinal Victory 4-3 against the Bloomfield Cheetah Thunder. The Championship Final came against the Wall SC Cosmos where both teams battled tooth and nail in a game that could have gone either way; a 3-2 result leaving the NJ Stallions Boys with a 2nd Place Finish. Congratulations to the players on a fantastic run.